Babies Eat Braincells: Quiet book! So I finished the other pages from my previous post and fused together half the pages for my book. 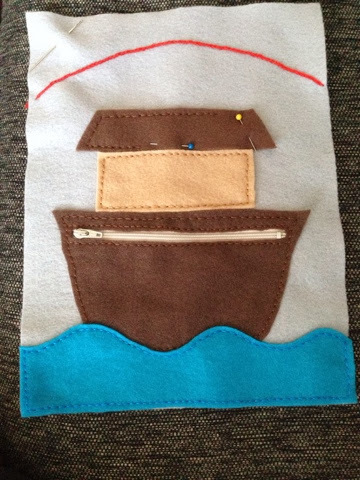 I have to bias tape the edges, and I finished a few more pages to fuse. Here are some of the pages I finished! The tithing page. 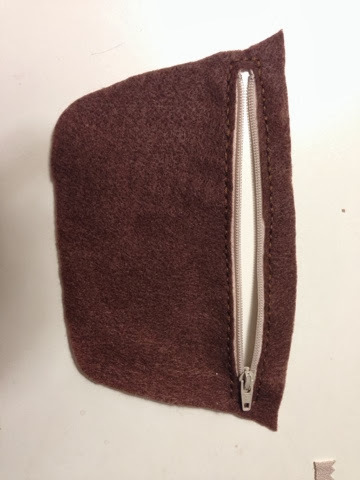 The purse opens to hold the felt coins that are in the upper right. 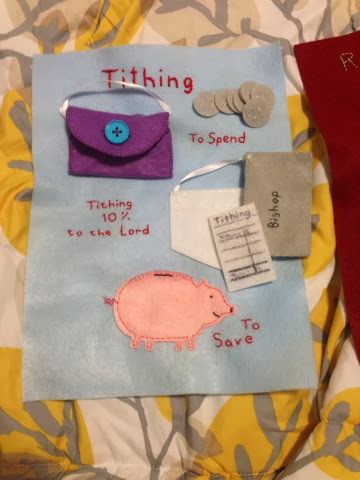 The bishop envelope holds the little tithing slip, which then goes into the shirt pocket. The piggy is open on top so you can put coins in and out of it too! This one is pretty straightforward. You can move the clock arms. 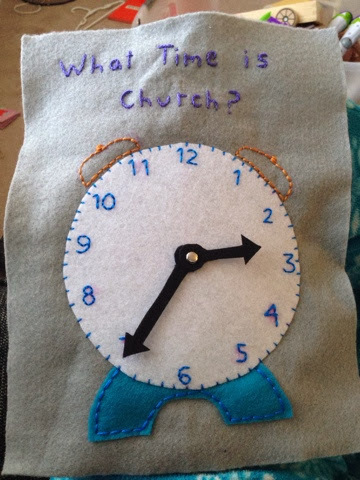 And each of the ticks on the side of the clock is a minute, so I can use It to teach the kids how to tell time, too! This next page I took in-progress shots of because it was so lengthy and involved. 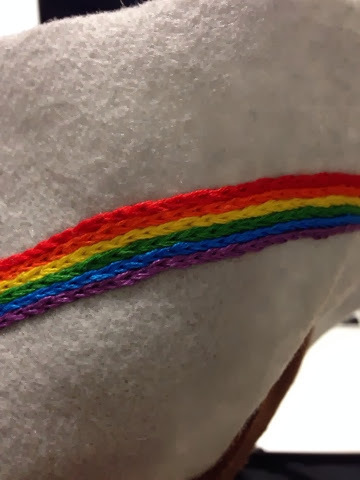 Chain stitched the whole rainbow! 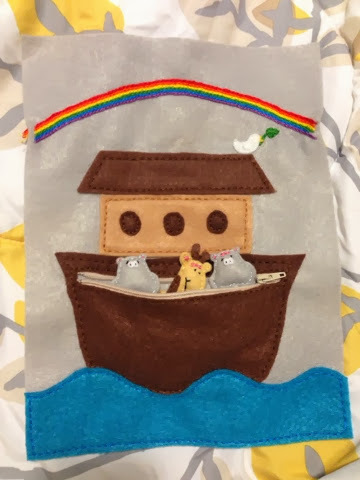 It took several days!! 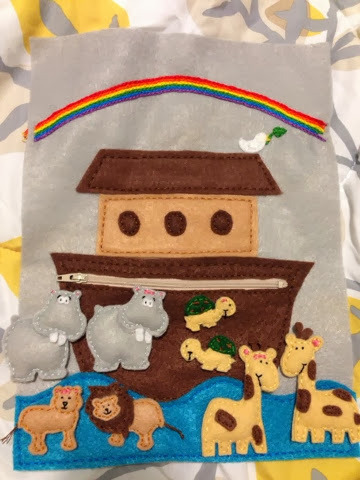 I have to stitch "Noah's ark" and the scripture reference up top but that's easy compared to all the work I've put in so far! This page took me about 2 weeks!